Have you heard of Buzzfeed? 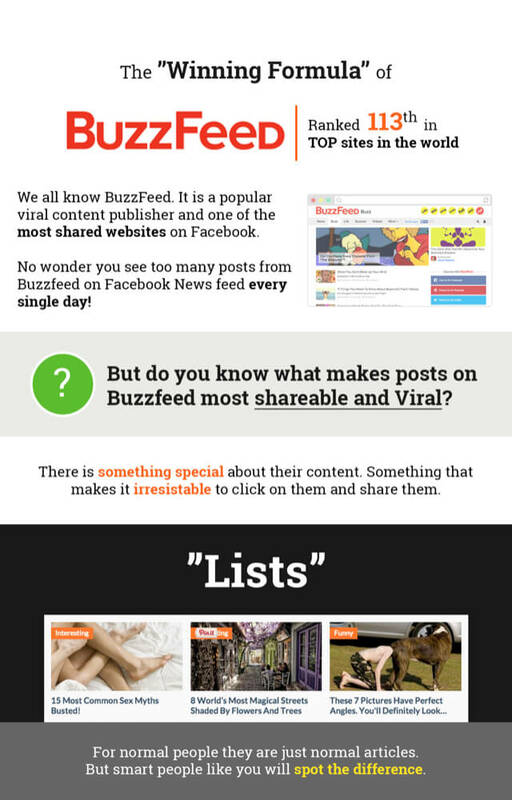 I know you have.. Do you know what is the most Viral content on Buzzfeed? 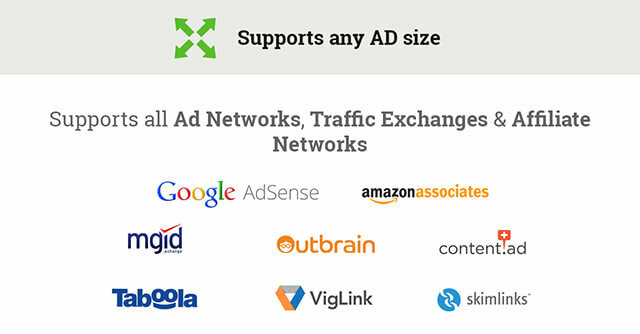 Do you know what helped Buzzfeed and many similar sites grow that big? You’re about to discover the answer to all these right now. 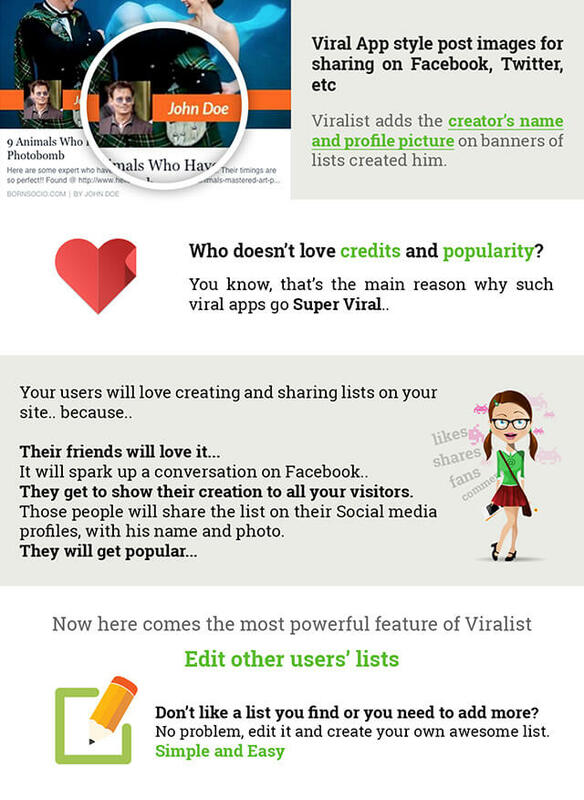 And guess what, you will be able to do the same as Buzzfeed with our new awesome Viral Script, Viralist. 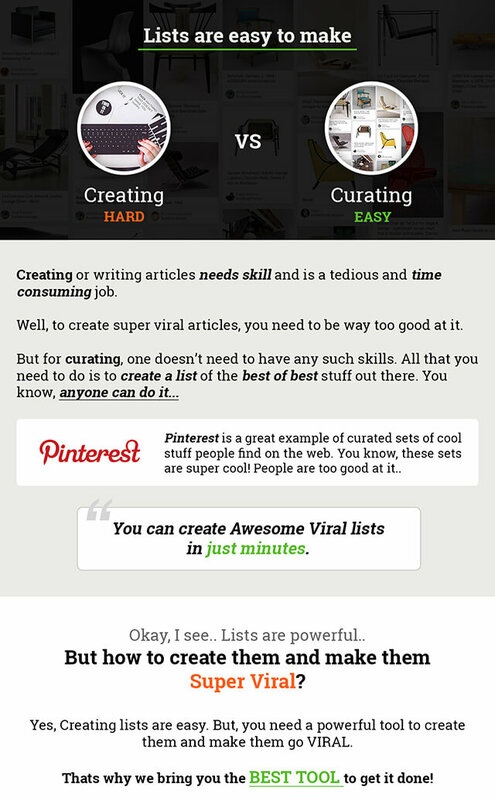 Okay, lets see what it is..
Viralist is a Viral lists website script written in PHP that lets you build a viral content website with awesome curated lists like Buzzfeed. 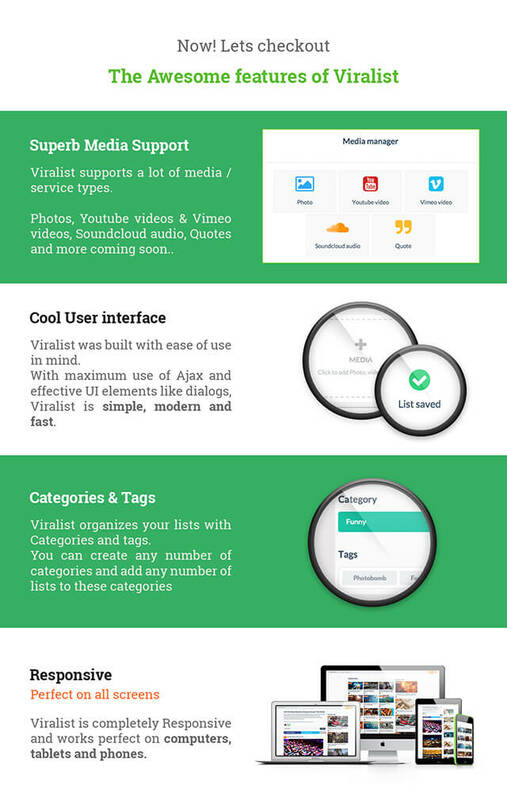 Viralist supports a lot of media types like Photos, videos(Youtube and Vimeo), SoundCloud audio, quotes, etc. 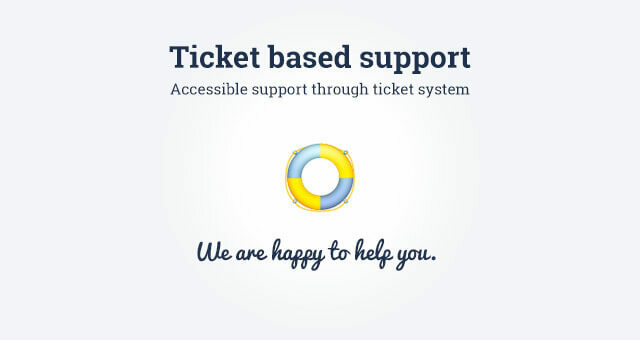 Support for a lot of other media types will be added in future. 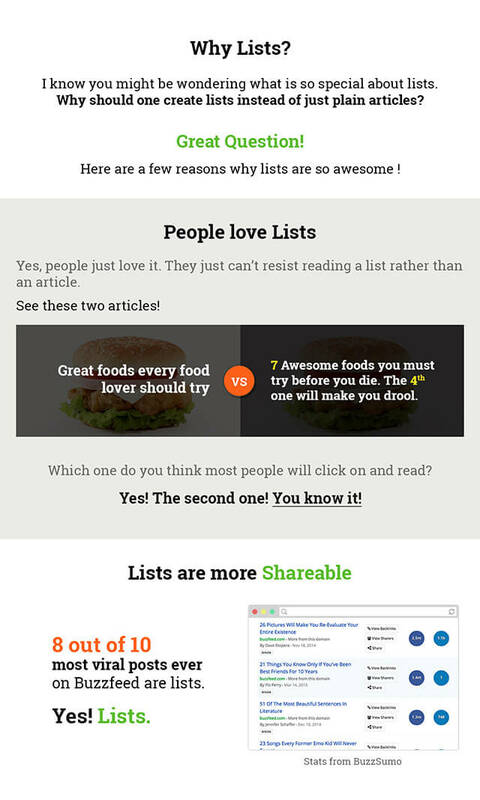 Lists get super viral and they are easy to make. 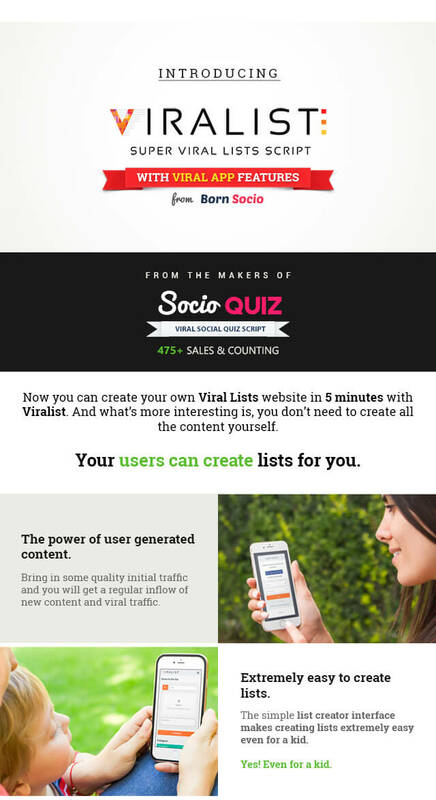 With Viralist, your users could make awesome lists for you. 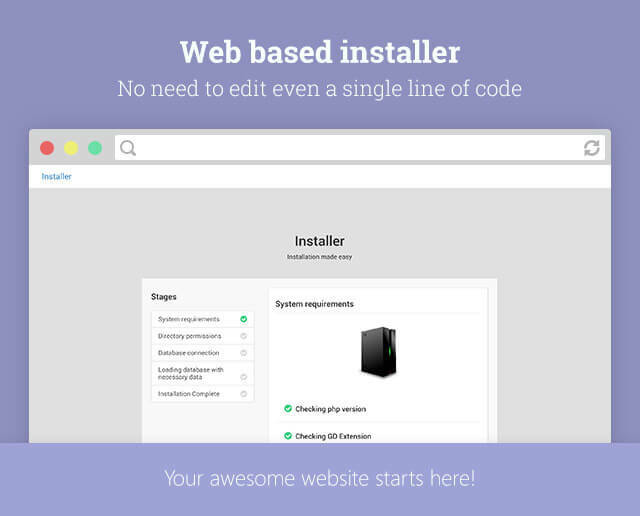 They can signup with their email or via Facebook and create lists with our simple and easy interface. 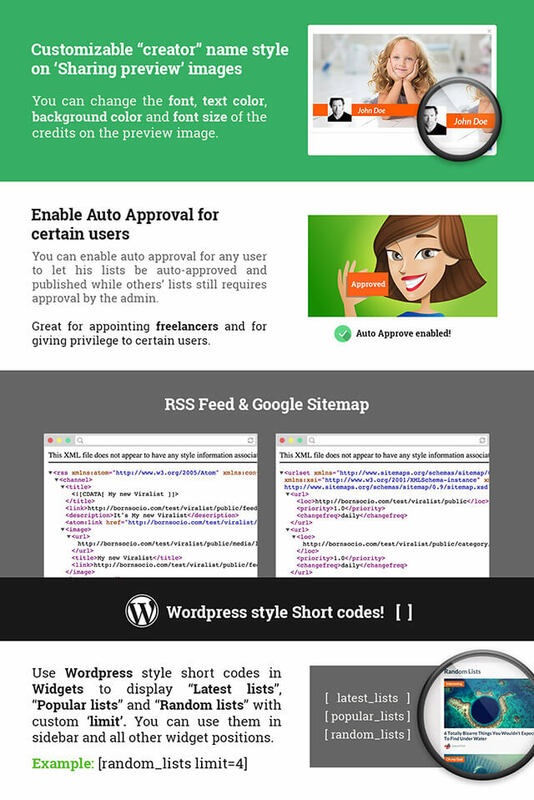 You can either enable auto approval or approve the user-created lists manually via the admin panel. 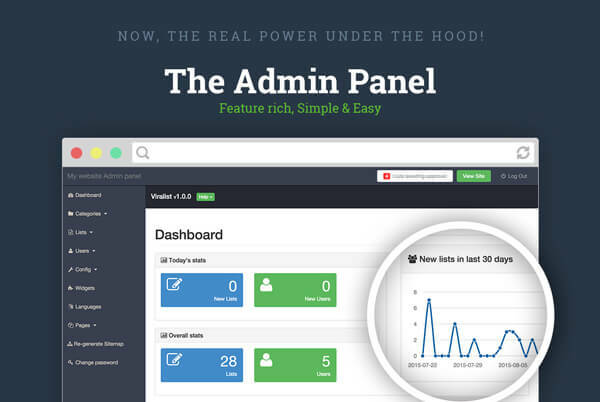 The powerful admin panel and the Super Viral features of Viralist makes it the best choice to build a great viral site with little effort. 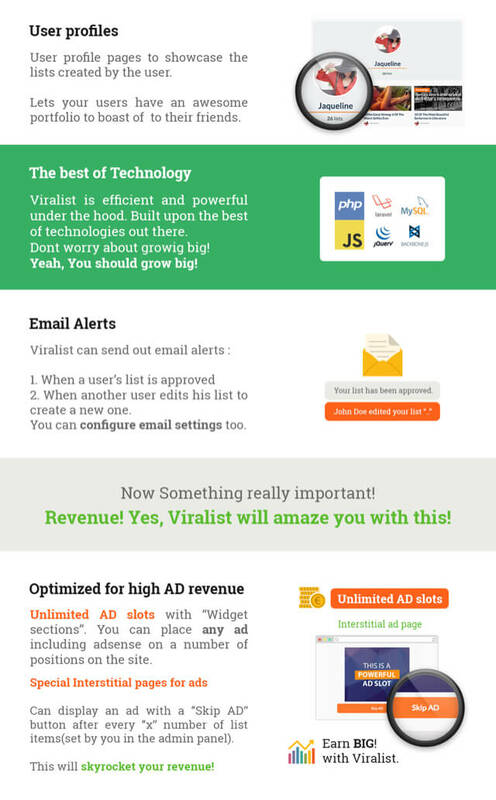 There are a lot of more amazing things you need to know about Viralist.. Read on! 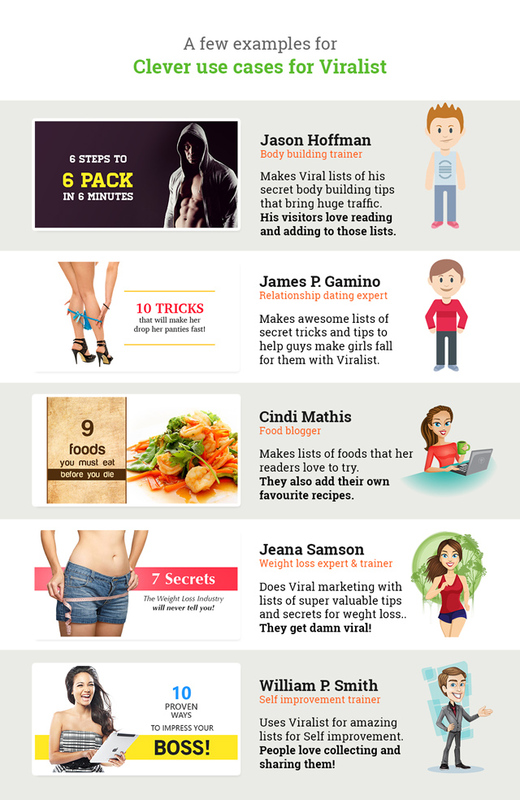 Have clients? 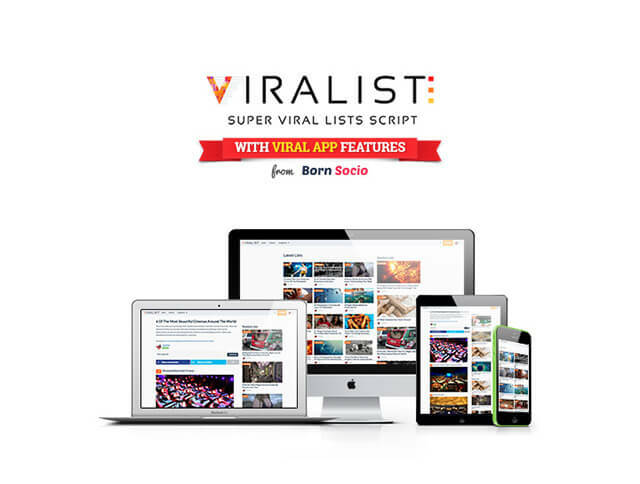 You can earn big with Viralist now! 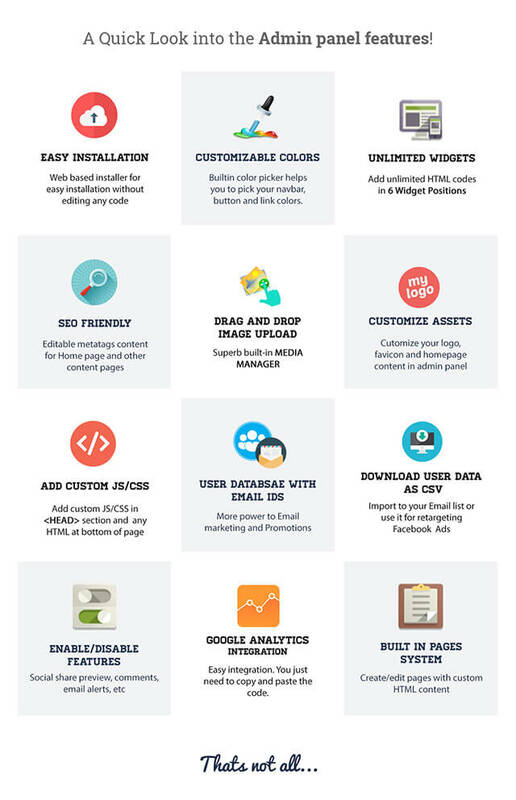 Impress you clients and earn huge by offering them a premium viral content website. 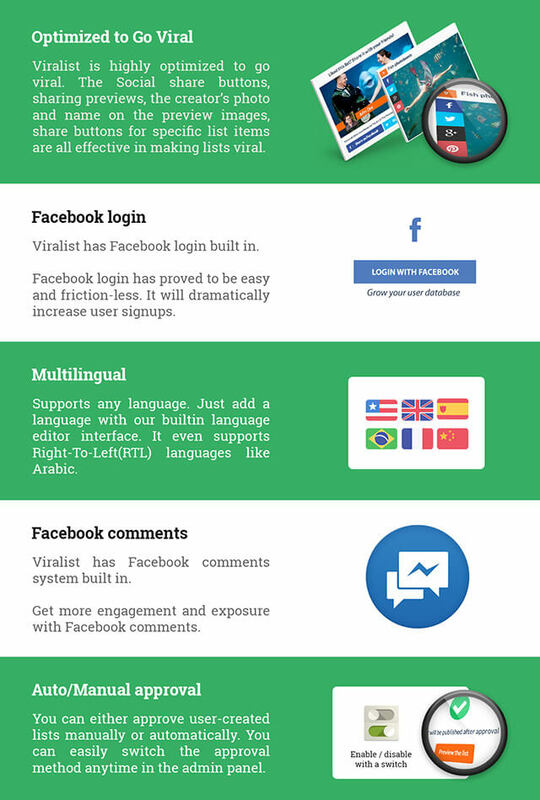 Viralist is great for promoting any business on the internet and take it Viral which will earn your client a huge ROI . Need some cool ideas? I know you are really smart to think of a lot.. But here are just a few to spark up your ideas..